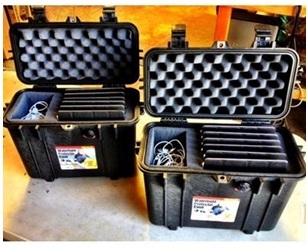 Pelicancasesforless has an experienced and capable staff ready to develop any custom foam application for Pelican cases. We conduct a detailed analysis based on the clients specifications, sample foam or product example. Factors such as weight, shock, vibration, temperature extremes and memory are all part of the design and development process. Certificates of conformity can accompany any shipment upon client request. We have developed a unique ability to provide very economical custom foam solutions, including special laminations, custom labeling within the constraints of fast turn. We can develop custom unique solutions using the latest proto type development process. We also can ramp to volume production in a very short period. 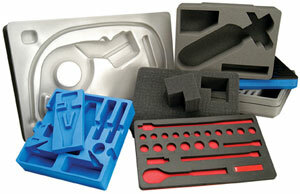 Please send us your foam specification or product example and we will take it from there.